This is a guest post written by Jennifer Bierds, owner and designer of www.JenniferBierds.com. She designs custom Squarespace websites for small businesses that reflect their brand’s personality and attract their ideal customers. 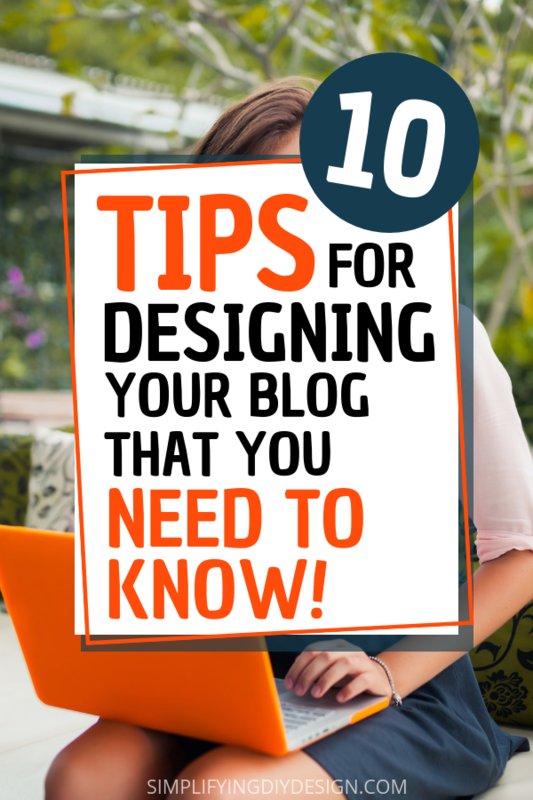 10 Blog Design Tips You Must Know! As a blogger, you spend hours on your website every week. But, chances are, you’re not blogging because you’re into website design (like me). 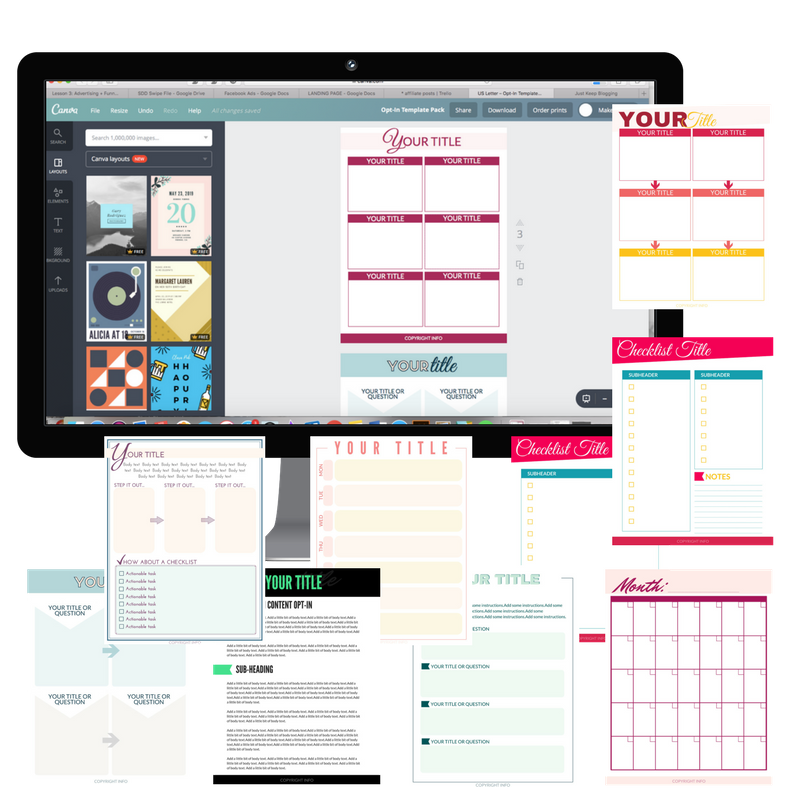 Kara offers you a wealth of information here on Simplifying DIY Design for your day-to-day design needs – seriously, I could get lost in those posts for hours! I’m here to offer you some tips on making sure your website, specifically, is pretty and professional. After all, you want those designs you’ve created to have a home that does them justice. Choose a color palette and stick to it throughout your website. All of your pages should have a similar feel, and color is one of the design elements that what will bring your content together. As visitors click from page to page, the site should flow seamlessly. Check out Kara’s post here with a free cheatsheet if you need help narrowing down your colors. If you’re into design, chances are you love playing with fonts. It’s tempting to use your favorites in different ways all over your website, but keeping it to two is considered a best practice. If your not sure where to start, this is one of those times where Pinterest is your friend. Search “font pairs” and you’ll get tons of ideas! Just make sure when choosing your final two, that they suit your website’s vibe. Also, make sure they’re available on Canva so when you create your blog images and other design elements, they match your website. Side note: There is a Canva Font Pairing Cheatsheet located in Simplifying DIY Design library. Click here for access! Having blurry, self-taken images on your website is a dead giveaway that you’re an amateur. Level up your game by making sure your images – whether your own or stock – are crisp and well-lit. If you could use some help in this department, I’ve written a guide over on my blog. If you do nothing else, improving your images alone can make a huge visual impact on your site. It’s easy to go overboard in your navigation menu, because in theory, you want your visitors to be able to find exactly where they need to go. While that’s true, if you give them too many options, they may be overwhelmed and just not go anywhere – not good. Keep your navigation to around 5 options, and this will keep that part of your website clean and uncluttered. You’ll also likely see your visitors clicking their way through multiple pages of your website instead of coming to your home page and leaving, which is great for SEO. You know when you visit a website from your smartphone, and it’s like an itty bitty version of their desktop site? Don’t be that guy. It’s soooo hard see everything on those websites, much less get around to find what you want. Having a mobile-friendly site that is easy to use from a phone or tablet is a definite sign you’re a pro. Your website should basically become a condensed version of your desktop that is reconfigured and easy-to-read – something that is done for you with certain websites. Again, this is another feature that Google likes, and improves your SEO. Many websites will have graphic elements – icons – scattered throughout for a little more interest. You could have flowers, arrows, stars, polka dots, whatever, just be consistent with the theme you use across your site. If you start going crazy here and using mismatched icons across your site, your design will become disconnected and amateurish. A way to use different elements but keep consistency is by style. You could use all watercolor designs, or hand-drawn icons, for example. If you blog, you write. A lot. But your website visitors could be overwhelmed if they see never-ending text. The key to great design, while incorporating all you have to say, is to break it up. Use elements such as images, lines, color, bullet points, or even different-sized fonts to give the eye a break. When visitors come to your website, you should have a primary goal – get them to sign up for your newsletter, buy your e-book, enroll in your next course, etc. – and this is your call-to-action. Whatever yours is, make sure that is extremely clear on the top of the homepage before scrolling down (above the fold). Oh, broken links… They’re hard to avoid, because stuff happens, but try your best to make sure you do. Whenever you change anything on your site, think about if you may have had anything linked to that page. If so, you’ll need to change the link, or else your visitors will be sent to an error page (obviously not good). Periodically go through your site and click through all of your buttons and highlighted links, just to make sure all is working well. Bonus tip: set up a cute error page with some (working) links to popular pages on your site, that way visitors are more likely to stick around and not just leave. You probably spend just as much time on social media as you do on creating your blog content. Make sure that your visitors can easily follow you on all of your social accounts by connecting them to your website. Add the social icons wherever it makes sense for your site, just make sure the color is consistent with your palette, and the links work ;). These are my top ten keys to a professional-looking website, but of course, there are many more. As long as you have these boxes checked, you’re well on your way to having great website design. Some of these are easier to implement than others, such as the mobile-friendly option, but all are important to the success of your site. I specialize in designing all of my clients’ website in Squarespace, because covering my top ten is easy using this platform. If you’re not familiar, Squarespace is an all-in-one solution for your website, including your hosting, design, branded e-mail, e-commerce, list building, and more. 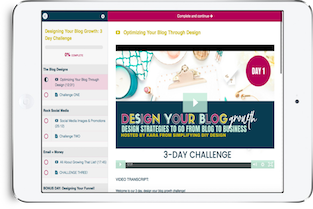 In my opinion, it’s an especially great option for bloggers because it’s so easy to use. If you’re interested in learning more about what makes Squarespace so great, feel free to read my post here for the rundown. You may still be questioning whether your website is up to par? Maybe you’d like a second opinion? I’d be happy to take a look and let you know what I think! Drop me your info here, and I’ll get back to you with (free) feedback. 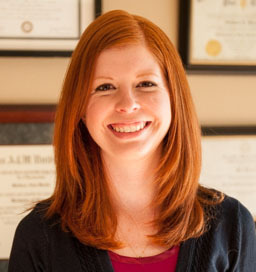 Jennifer Bierds, owner and designer of www.JenniferBierds.com designs custom Squarespace websites for small businesses that reflect their brand’s personality and attract their ideal customers. You can follow her on Pinterest, Facebook, and LinkedIn. You can also mention Kara from Simplifying DIY Design for 20% blog design when booking with Jennifer.